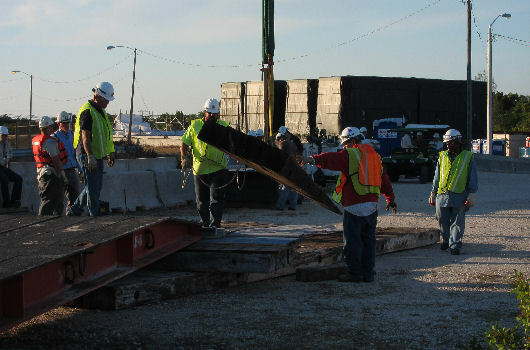 Early January 2012, Argonautics Marine Engineering, Inc. provided on-site assistance during the offload of a new generator rotor. 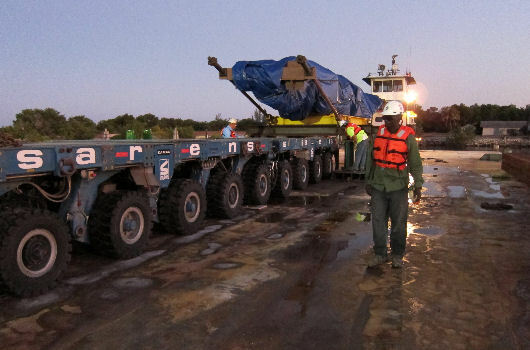 This rotor, weighing 165 t was delivered by spud barge to the FPL Turkey Point power plant in Florida. 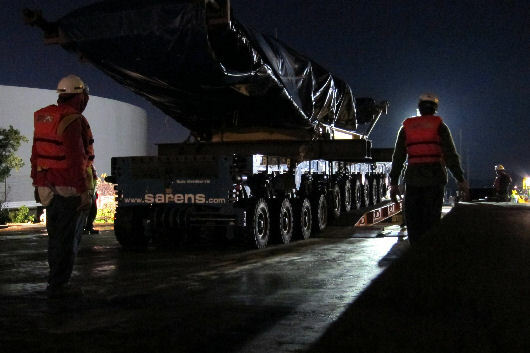 The barge KS-1503 was moored at the offload slip and secured. A steel ro/ro ramp was installed to span the gap between the barge bow and the dock. After unlashing, the rotor was picked up with a 10 axle Kamag trailer and rolled off onto the dock and lowered onto temporary supports. No ballasting was required during the offload. 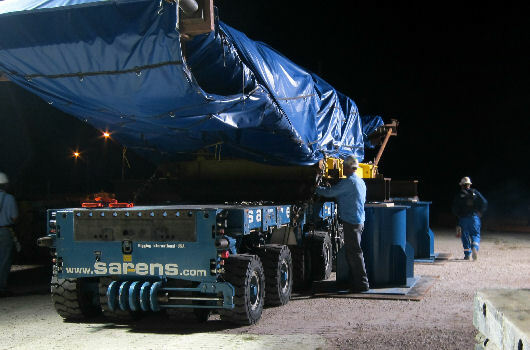 The following day, the rotor was picked up again and moved into the plant. 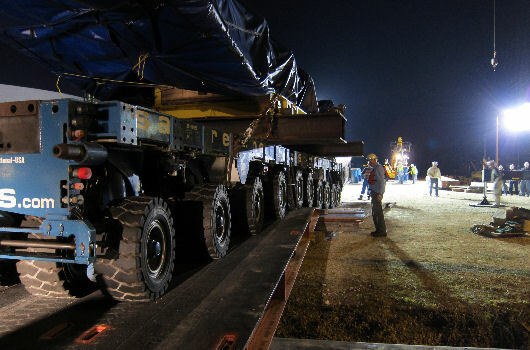 During this offload operation, on-site support was provided to the offload contractor.  Provide comprehensive reports on the operations.